You’ve spent days, hours and some late nights building a great presentation. Your conscious that you think it’s great, but will they? You’ve still got a few hours left today, before you present tomorrow, and you have an opportunity to make it the very best. 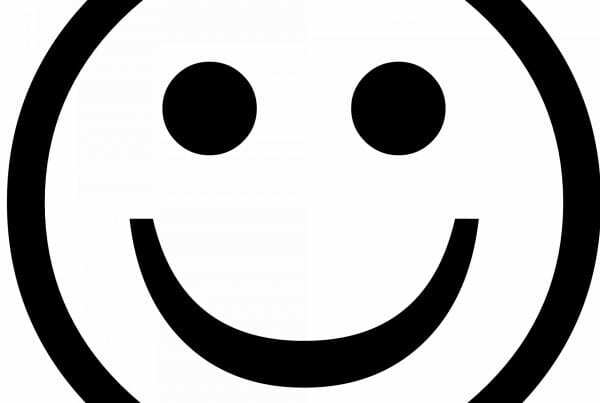 D is for Dissatisfaction – How dissatisfied is the person with the current situation? V is for Vision – How much does the person see a vision for how it could be? F is for First step – How well can the person understand the first steps that need to be taken? R is for Resistance – How much resistance is there to change? The formula works by each of the first 3 parts being multiplied and if they are bigger than the resistance, change happens. If any of these first 3 parts are zero, then the multiplication makes the sum of the 3 parts very low and the chances of overcoming the resistance are too very low. Action: Review your presentation and identify that ‘D’, ‘V’ and ‘F’ are included and persuasive. Many people have at one time, or another, taken a psychometric test to understand themselves better. From Firo-B, to Myers-Briggs to Drivers, and so on. We use the Herrmann Brain Dominance Instrument (HBDI) throughout our training with learners because it is simple to understand, effective, and remembered years later. Also, Peter Drucker wrote about the benefits of using HBDI ® in the Harvard Business Press. In essence, each of us has one preference of how we prefer to think, communicate and also receive information. 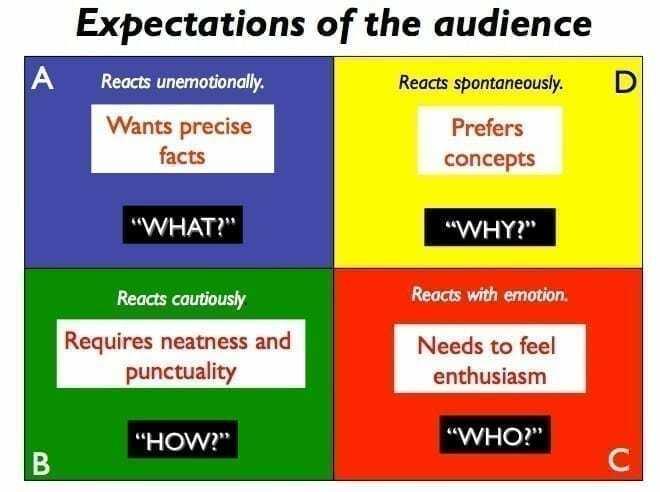 The more we, as presenters, can communicate in that person’s ‘language’ or communicate to all 4 parts, if there is an audience, the greater our influence. The HBDI ® identifies how we prefer to think. Either in facts, future, form or feelings. Whilst we cannot ask each member of the audience to first complete an assessment before we present, we can check that we are broadly appealing to ‘the whole brain’. For the fact based thinkers you are including the facts. For the future based thinkers you are including a vision of what it could look like. An image would be really useful here. For the form based thinkers you are including a plan. For the feeling based thinkers you are demonstrating that you have considered the impact on the people. The Greek philosopher, Aristotle, wrote about the 3 modes of persuasion; logos, pathos and ethos. By understanding these 3 modes better we can more strongly influence our audience by using all 3 modes. ‘Logos’ is logic and needs very little explanation, except to say that not all presentations make logical sense when delivered because there is always the danger that one question pulls the brick that ‘opens the floodgates’. This is where we need those internal people who ask the questions that we don’t want to hear before we present externally. 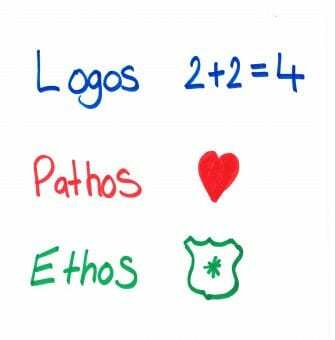 The next two are less used and are just as powerful; ‘pathos’, which is emotion and ‘ethos’, which is credibility. Pathos is about your delivery. Many presenters spend forever tweaking the slides and then spend no time on delivery. The delivery is as important as the content. Either through practising delivery of your presentation, or role-playing with a colleague, or highlighting where you want to emphasise a point, a little time on delivery is essential. Ethos is essential because your logic might make perfect sense and your delivery was very animated, but if you are not credible, it would be like buying from an eBay seller that had a feedback score of 47.2%. Action: Review your presentation and identify how you can improve your credibility with testimonials, an example of a previous piece of work done well, quote sources, share the view of experts, etc. 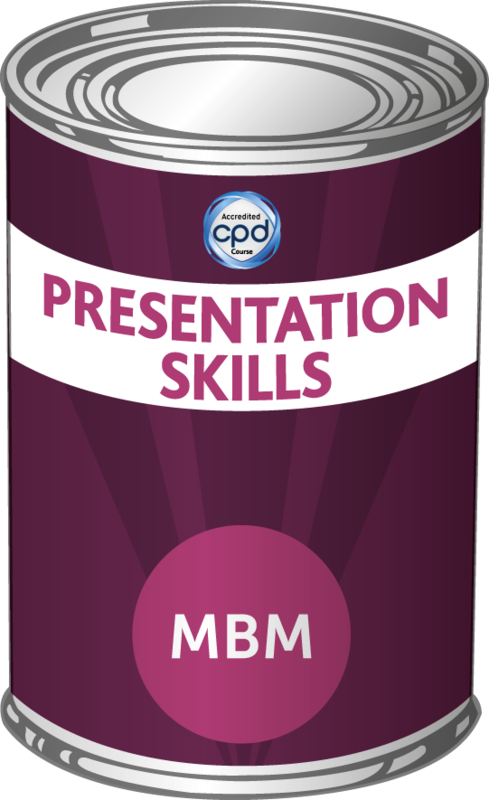 For further information, you can find our Ultimate Guide to Presentation Skills here. Love the use of the greek models of persuasion. Think they’re a great way of breaking down how to persuade the audience. Worst thing when it doesn’t go as planned after hours creating a presentation. These 3 ways sound really good, and I will try and incorporate these in my future presentations. Do not start your presentation with Powerpoint. 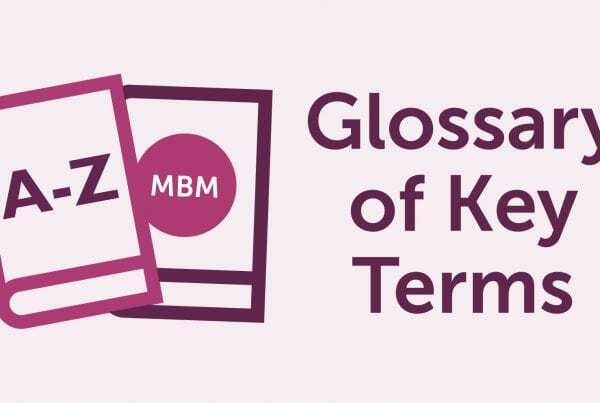 This is what our clients say about MBM and our unique 'Sticky Learning ®' method. Start 'small' with a 1/2 day masterclass for up to 12 people for only £750+vat.